Do you remember the Trump Burger with luxurious integrants which costs $51 for one meal? 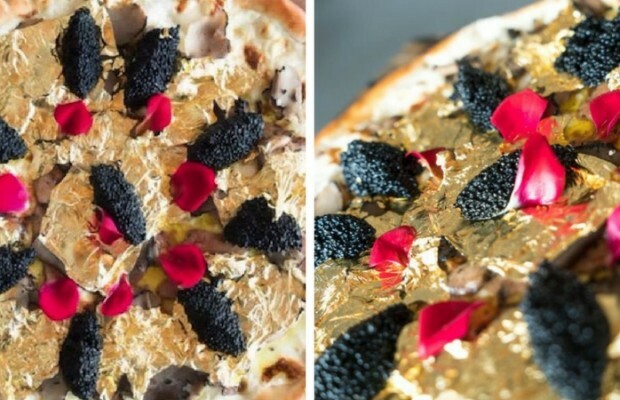 Now we have a Pizza of the luxurious kind which one bite theoretically costs the same as the Trump Burger. How did we calculated the price of the most expensive pizza in the world of one bite? 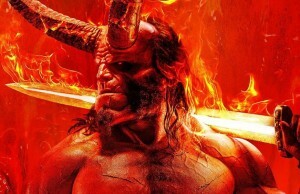 The pizza costs an impressive $2,000, and when we apply elementary mathematics we can say that one slice (0f 8 slices, how much there are in a Pizza) costs $250 and one bite costs around $50! 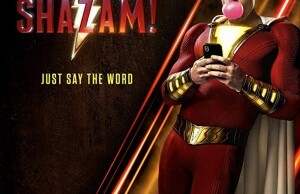 Simple math and shocking fact! 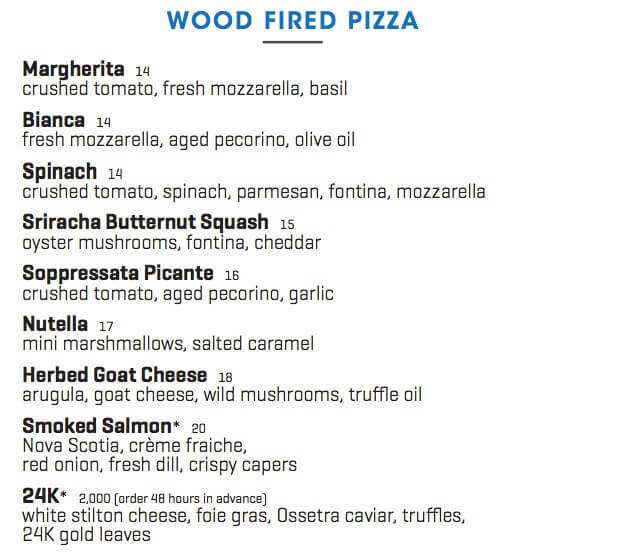 Industry Kitchen in the Financial District of New York has this incredibly expensive pizza on their menu. 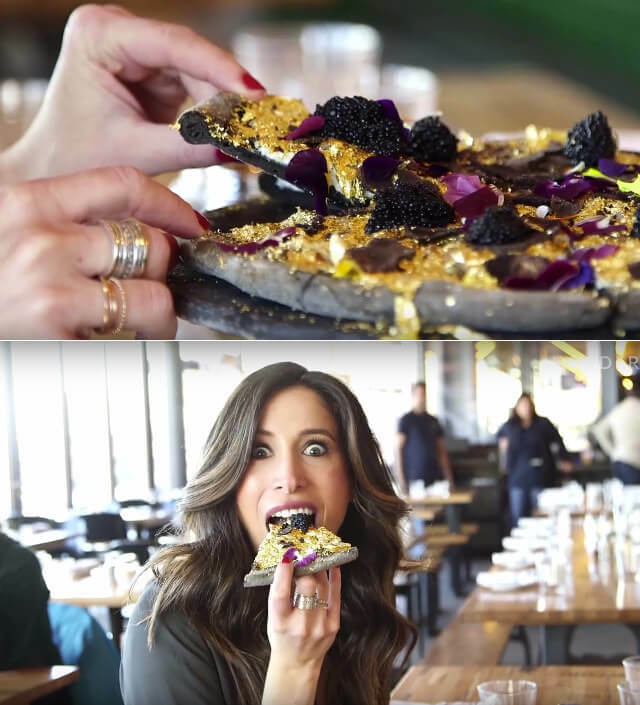 For New York restaurants this kind of luxury isn’t so rare, but let’s check out the integrants and then we will decide if it’s worth the price. 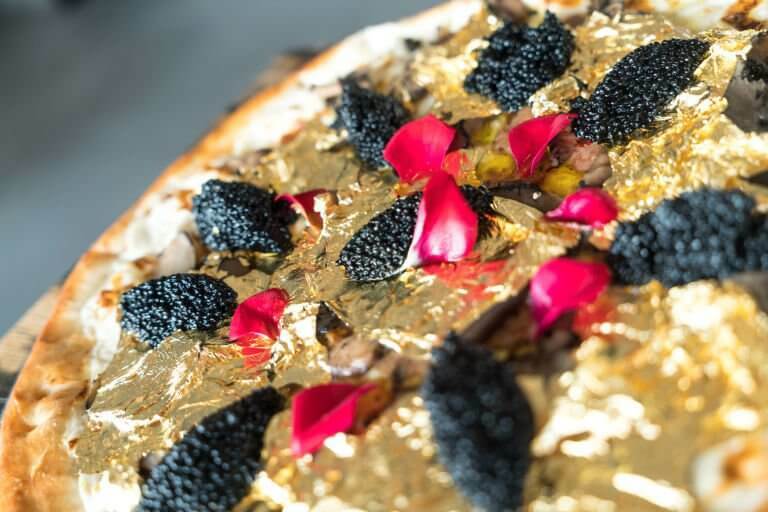 The Golden Pizza consists white stilton cheese flown in from England, the foie gras and truffles which are from France, Ossetra caviar scooped from the Caspian Sea, and gold leaves glitter from Ecuador. 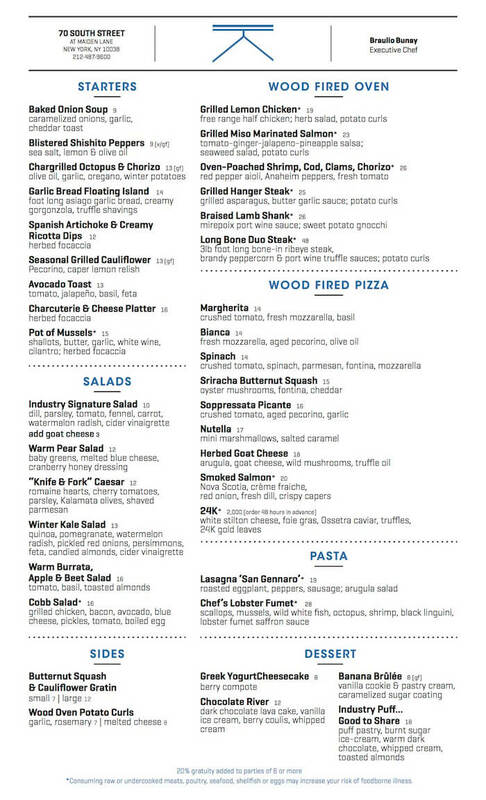 Industry Kitchen in the Financial District, New York has the most expensive pizza in the world on their menu. 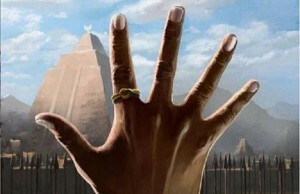 You need to order it 48 hours in advance. Check out the bottom of the menu. 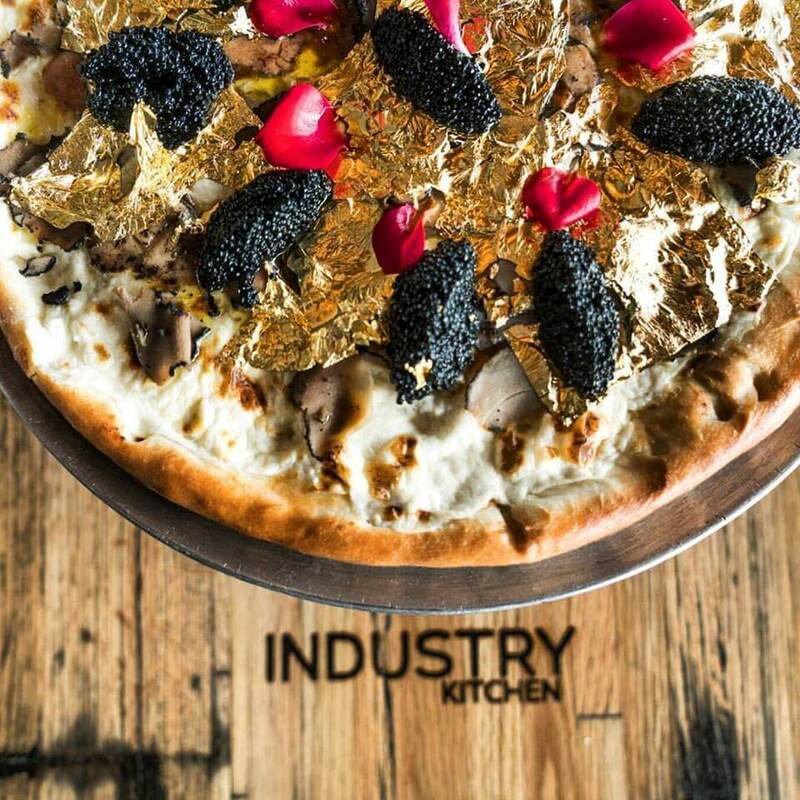 The nearby Financial District was a direct inspiration for Chef Braulio Bunay to create this expensive pizza. Executive Chef Braulio Bunay tells T&C that the district attracts the wealthy people from all over the world. Sprinkled luxuriously with 24-karat gold leaves. 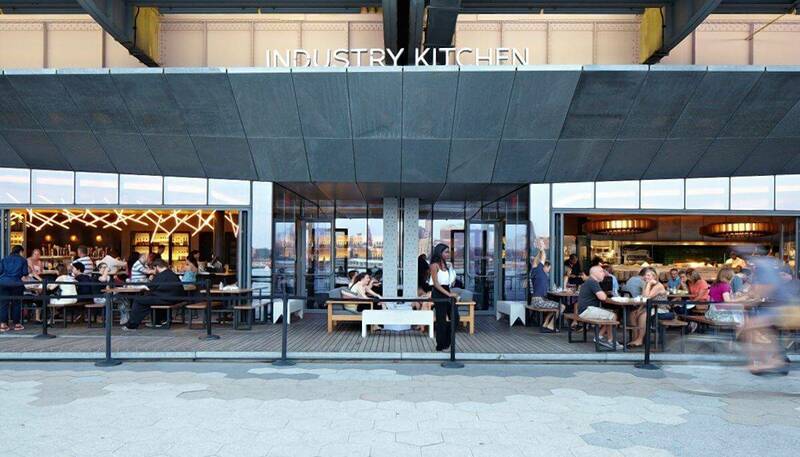 Industry Kitchen is located at the Finacial district of New York which attracts wealthy people from all over the world. 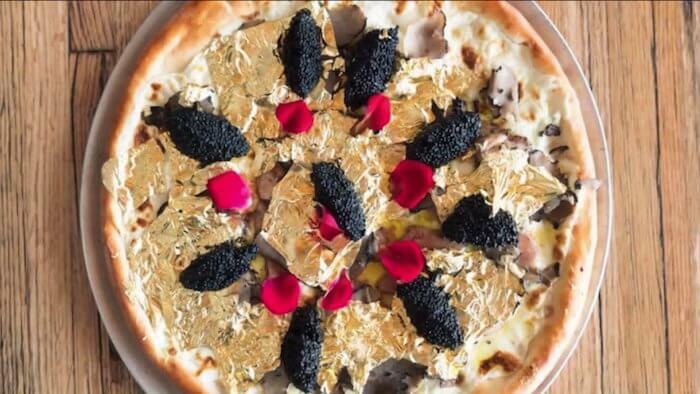 Is the Golden Pizza really the most expensive pizza in the world and worth $2000?! Share with us what you think and ask your friends by sharing this post.